Buy your Sunny Boy SMA Storage 1.5 inverter at the lowest price - online only. The new SunnyBoy TL-21 line has increased its differential tension range. You also benefit from a double tracker inverter for 3 kW of power. These 2 trackers (2 independent inputs connected to each other) allow you to position your solar panels on 2 different roofs. The Sunny Boy 1.5TL inverter is very quiet. It uses convection for cooling. You don't have to perform any maintenance. All SMA inverters are INTERNATIONAL versions, ready to be used. The standard warranty is 5 years. Easy installation: The installation of the Sunny Boy1.5TL power inverter has been re-examined and simplified, now it hangs higher and the cables can be connected without the use of tools.You will receive a full installation kit with all the accessories, wall hanging, AC and SUNCLIX connectors, screws and bolts, allowing you to set it up quickly. Light and quiet: The SMA SB 1.5TL inverter does not have a transformer. It uses a different power transformer technology. Therefore it is very light and easy to carry. Moreover, the new Sunny Boy makes use of an efficient cooling system without a fan, which makes it run extremely quietly. Web-able: The SMA Sunny Boy 1.5TL power inverter gathers all the performance data and sends it to the Sunny homepage. You only need an internet connection, no extra accessory is needed. 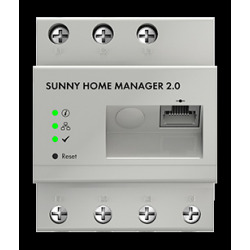 2 independent trackers: Sunny Boy's two independent inputs allow you to install solar panels in 2 different locations (e.g. the east and west sides of a roof) The performance of the system is optimum as the SMA power inverter seeks the best output possible from each input. OptiTrac Global Peak incrases output: The SMA Sunny Boy inverter with its high efficiency OptiTrac Global Peak function offers an optimum energy yield. It ensures outmost energy efficiency, even in a partially shady location. The maximum energy yield obtained can reach up to 97%. 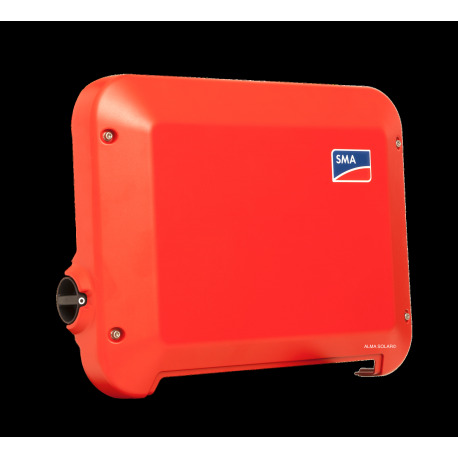 Single-phase inverter: The SMA Sunny Boy is a single phase inverter. Only applies for the following products: Sunny Boy, Sunny Multigate, Sunny Tripower. For the above mentioned products, you receive an SMA factory warranty valid for five years from the date of purchase. The SMA factory warranty covers any costs for repair or spare parts during the agreed period beginning on the date of purchase of the device, subject to the following conditions. This is not associated with a durability warranty. If a device becomes defective during the agreed SMA manufacturer warranty period and, unless this should be impossible ordisproportionate, one of the following options will be selected at the discretion of SMA: device repair at SMA, or device repair on-site, orexchange for a replacement device of equivalent value with regard to model and age. n the latter case, the remainder of the warranty entitlement will be transferred to the replacement device and your entitlementwill be documented at SMA.The term "disproportionate" as referred to above applies in particular if, as a result of the envisaged measures, SMA were toincur costs deemed unreasonable according to the following criteria: in view of the value that the device would have without the defect, taking into account the significance of the defect, and after consideration of alternative workaround possibilities that SMA customers could revert to without significantinconvenience. The factory warranty includes the costs of SMA for work and material for the restoration of faultless functioning in SMA'sfactory or for on-site repair work by SMA service personnel. All other costs, particularly shipping costs, travel andaccommodation costs of SMA personnel for on-site repairs as well as costs of the customer's own employees are not included in the factory warranty. When devices for private use are installed by natural persons in the EU region, Australia, Chile, India, Israel, South Africa,South Korea, Croatia, New Zealand, Norway, Switzerland, Thailand and the United Arab Emirates, the factory warranty also covers shipping costs or travel and accommodation costs for SMA service personnel during on-site repairs. This does not apply to islands and overseas territories of the above mentioned states. To determine the warranty entitlement, please submit a copy of the purchasing invoice or a copy of the warranty certificate, if necessary including the receipt of the extended warranty. The type label on the device must be completely legible. Otherwise, SMA is entitled to refuse warranty services. Report defective devices with a detailed error description and the error code to the SMA Service Line. If we agree to areplacement, Sma generally send an equivalent replacement device, packaged appropriately for transport, within two workingdays. The defective device is to be packed in this transport packaging for return transport to SMA. All warranty services are free of charge only if the course of action is agreed with SMA in advance. Neither does it cover cosmetic defects which do not influence the energy production. Claims that go beyond the rights cited in the warranty conditions, in particular claims for compensation for direct or indirectdamages arising from the defective device, for compensation for costs arising from disassembly and installation, or loss ofprofits are not covered by the manufacturer warranty, in sofar SMA is not subject to statutory liability. In such cases, pleasecontact the company that sold you the device. Possible claims in accordance with the law on product liability remainunaffected. All claims arising from or in connection with this warranty are subject to German law. Kassel, Germany is the exclusive place ofjurisdiction for all disputes arising from or in connection with this warranty.